Want BBA designed programs delivered for your team? Want your team to come to BBA to get our unique hands on training? 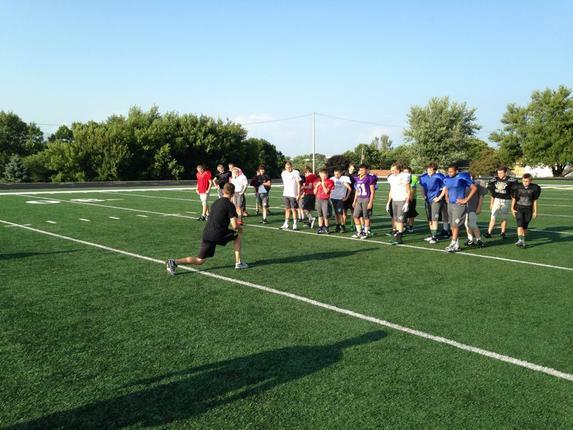 Don't live in the Dubuque area but want to get the BBA Training System for your team or self? At BBA we offer on-site training or at a location of your choice! Get training to fit the specific needs of your sport, equipment, and athletes. We can also send specific training programs for your teams and athletes for training at your facility under your supervision! This package not only includes training programs based off our Bracket System, but also includes video links and written descriptions to every exercise prescribed, speed and agility training templates, nutritional handouts, and video conversations with you - the coach for all the specific training details you want! Our lives revolve around Strength and Conditioning. We spend all day tweaking and perfecting our system and have used it to help thousands of athletes. We know you're busy as a coach, and by providing this service we relieve you of a big stress and hassle. No more spending hours trying to find or put together a program for your team, let us save you the hassle and provide you with premiere training for your athletes! This is the BEST way for a team to training. Awesome day with Future Stars Showcase - helping 60+ athletes get properly prepared to practice and play.